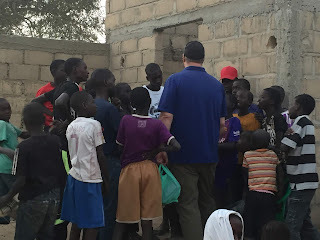 I recently travelled to Senegal, Africa for my 6th time! Why do I go? I go to visit my namesake Dagan Sall and all our family and friends in the village of Tounde. I hope through this article, the reason that is so important comes through. Short term mission trips are typically a one and done type of mission trip. Not ours. Union Church’s devotion to Senegal, Africa and our villages of Tounde and Ndakhar that we adopted some 11 years ago has taught me so many things. I would like to share what God showed me this year. 3 little words came to mind a couple weeks before we traveled this year. Learn, Earn and Serve! As I pondered what God was trying to teach me through these 3 words, many things unfolded in my mind. I believe it was a download from God. Team Senegal began in 2007. Although its initial intent was to bring the love of God to the people there; there was a hope to one day build a church (church plant) in the villages we adopted. In Team Senegal’s preparations over the years we have done much to ready ourselves for such a task. Here is a list of a few things we did to LEARN about the culture. · We’ve read many books on Islam. · We’ve read about the Senegalese culture. 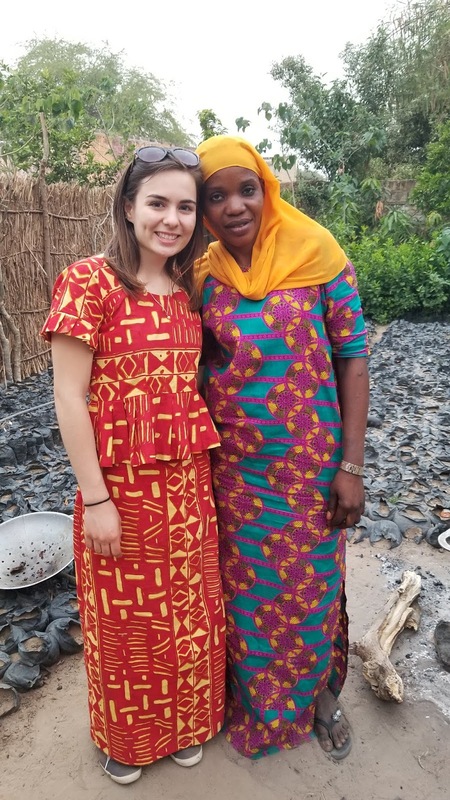 · We practice the very difficult language of Wolof. · We listen to past trip goers on their experiences to learn from them. · We seek village updates. · We have noticed our senses have become acutely aware of the Senegalese in general. · We listen to the news when it’s about Senegal and we seek out news about Senegal. · We seek guidance from the professionals on the culture who live in Senegal. So what does Team Senegal do to EARN the right to be heard? · We respect their culture by the way we dress and the foods we eat while there. · We do our best to speak their language to them when we’re in the villages. · We have rules around no drinking or smoking while in country to represent Christ well in a culture that sees these things as a reason to not trust us. Muslims do not drink, so therefore those who do, are not worthy of being listened to. · We are consistent with our visits. · We make sure we visit the elders in the village first to gain permission to be there. · We speak truth, and answer questions with “God willing”, and when God answers then we can help or we can return for another years visit……we always point to God as the one who answers our prayers. What does Team Senegal do to SERVE? · We build the teams bond through monthly team meetings. · We serve each other by making or providing meals for each other. · We have retreats and fun activities. · We, with the help of God and Union Church provide for some of their needs….we seek what THEY need; we don’t tell them what they need. It’s like Star Trek’s Prime Directive, “a guiding principle prohibiting protagonists from interfering with the internal development of alien civilizations.” Team Senegal does not go in there as the white Christians telling them how they should do things and what they need. · We listen, we pray and we ask God to guide us in those needs they shared. When God answers, we provide. So far God has provided funds for a health hut, running water to the health hut, electricity, a wall around the health hut, bathrooms and running water for the school, computers for the school and more! · We serve them by answering their needs. Understanding their needs was first communicated to us by them. This is how we serve! If they were to come to the point of planting a church there, it would be based on their culture. It would be African style! We would not go in and tell them how to “DO” church. We would see them worship to African Music! We would not tell them the order of service had to be this way or that way. We would watch a God ordained church come to life in a culture very different from ours, and it would be so beautiful!! A church plant starts out with a few people called by God to plant a church in a particular area. Sometimes their hometown they grew up in, sometimes far away. Either way, that core group’s intent is to share the gospel, bring Christ to the people and show the Love of God through actions and serving. And then if the newly formed church plant is healthy, those very people you showed Christ to who accept what Christ did for them will want to go out and repeat what you just did. We are all called to this at some level. We are all called to the great commission. The goal is to reach people for Christ over and over again. How do we do that? We learn, we earn, and we serve. In that process though, there are people who come and decide to be a consumer, they are just browsing and using the church’s resources when they can. And then there are customers, people who like a particular area of ministry in the church and occasionally help out if they agree with what’s going on. Then there are the shareholders; people with a vested interest in reaching others for Christ and bringing the church to them. These shareholders will do what they can and serve as much as possible to build the kingdom of God. In essence, we, Team Senegal and Union Church, are shareholders in that future church…Ngor is “our” church planter. MIS Director Adama Etienne is a Senegalese shareholder. They are the boots on the ground 24/7 shareholders for our villages. This year we heard from Adama that our role as the American team coming in actually gives Ngor credibility to what he does. How neat is that? Ngor is the Senegalese native who the villagers will listen to because we the shareholders give Ngor credibility. We give Ngor credibility to be able to do what he does! And guess what? Ngor gives us credibility to do what we do…MIS gives us credibility to be able to go into the villages and build relationships. Ngor is also a shareholder; he works tirelessly to invest in the people there in hopes one day they would know the saving grace of our Lord Jesus Christ, and call on Him for themselves. How do we apply the Learn, Earn and Serve concept on a local basis? I believe what God has shown me is also what works for Union Church and what we have going on here in our little community we call Rockville, and the surrounding towns. Even though our church began in the late 1800’s, we are still a church plant. That never changes because the culture is always changing. Therefore, we as a church should always be seeking more and more ways to reach those around us for Christ. So like Team Senegal who began 11 years ago deciding the Wolof of Tounde and Ndakhar would be our unreached people group, we, Union Church, need to decide who our local unreached people group is. The reason we need to decide this is because our approach would be different based on that people group. Team Senegal learned about the Wolof, not the Serere. Team Senegal invested time and energies into the culture of the villagers of Tounde and Ndakhar, so our approach reflects that. If we chose a different country or people group, then our learning would be so different and earning the right to be heard would look different. We also would not blindly go into a culture and expect to gain results. Each group has very different needs, serving each of these groups takes a different mindset, a different set of skills and a different approach. So what is the unreached people group we hope to target? Is it the people of Rockville, like the church of the Nazarene does with the Rock? Is it the middle class of our surrounding towns? Is it the lost generation of 20 somethings we don’t have in our church? All of these unreached people groups would direct us in how to learn about that culture and earn the right to be heard by those people and it would direct who we serve. Do we understand the 20 somethings? Do we know how they learn; do we know what speaks to them? Do we know how to reach them? If its Rockville residents, have we learned about them? Do we know how to reach them? Do we speak their language so to speak? If it’s the middle class, are we learning about their needs? Are we learning who they are and how to reach them? How do we earn the right to be heard by them? Are we open to their ways of learning? I am in no way suggesting we water down the gospel message. There are visual, auditory and tactile learners so are we giving them what they need? Are we finding out their tangible needs so we can help in that way? Rockville has very different needs than the middle class and the middle class have very different needs than the 20 somethings. Imagine if we were trying to reach a biker Harley Crowd…that would even be a different group to learn about. Circling back to the shareholder concept, as a church plant grows, the people they touched now come into the fold and hopefully as shareholders themselves. So the workers are more and the jobs are spread amongst more people. But when the people who were touched by God come into the church but only as consumers and customers, then the work load is still heavy on the initial church plant people. A church plant is always a church plant, even one that began in the 1800’s. So are you a shareholder? Are you an Adama or an Ngor? Ready, willing and able to continue this church plant from 1800’s called Union Church? Are you ready to do what it takes to reach the unreached people groups in our area? Are you open to the fact that it might look very different than the way you worship? Are you ready to allow others the freedom similar to the African church to worship in the way that works for them? So as I close out these thoughts, I encourage you to ask yourself, where are you on the spectrum of church goers? Are you a consumer; a customer; a shareholder? Do you fall somewhere in between? Have you found out where your gifting is? If you know what God has gifted you with, are you using it to serve Him? Has someone asked you to do something in the church and you found yourself questioning whether you should or shouldn’t do it? Perhaps that is God asking you and perhaps He is even asking you to step out of your comfort zone and watch Him work through you? Are you concerned with the amount of time something might take? Are you concerned with not knowing how to do something or are you nervous about doing something different? I encourage you to “Trust in the Lord with all your heart and do not lean on your own understanding. In all your ways acknowledge Him, and He will make your path straight!” Proverbs 3:5-6 He will work it out for you! All you have to do is step in the water first…get your toes wet by saying yes, and he will part the waters for you to get through! The following passage is a reminder that we are all called to be workers! Regardless of what we feel like doing or not doing, we are all called to serve and “go”, so where will you serve and where will you go? Now, don’t get me wrong, I have not always wanted to do what is asked of me. I have not always felt gifted to do what I have done. There are things I said yes to that I have never done before and God has worked through me and amazed me! I also recognize the enemy is interested in thwarting God’s plans, and if I were to allow him that opportunity, I might see doubts, setbacks and hurdles as things I can’t overcome as I am serving, however, I know who my God is and I know how the story ends. So I know I can continue with His plan and when a setback happens, laugh in the face of the enemy. I started this article with an equation on how to have a mountaintop experience. I recently had a friend say to me, “You have had a lot of mountaintop experiences lately!” And yes, this is true, because I have stepped out and served the Lord in a multitude of ways and allowed the Holy Spirit to give me the energy and the rest as needed. I want to work tirelessly for Christ. I want to see His kingdom grow and know that He used me in some way to attain that goal of His! Do you want to know how to have a mountaintop experience? Step out of your comfort zone and do something for God! Pamela Moffitt, member of Team Senegal and Team Jesus Christ!